The Motorola Xoom tablet computer impressed a few attendees at the Consumer Electronics Show earlier this year, but soon afterwards those impressions were tempered upon rumours of the pricing. The rumour was that the Xoom would cost US$800. It’s not a rumour now. 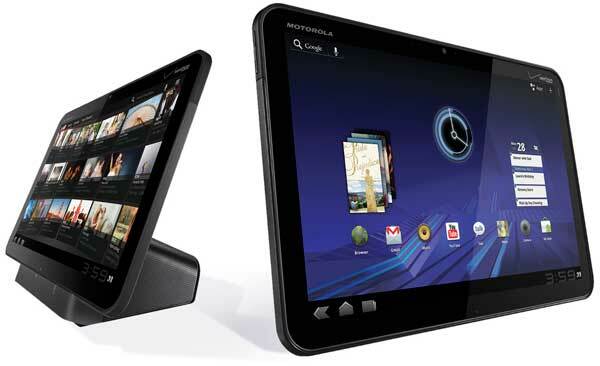 The Motorola Xoom will go on sale in the USA on February 24, and can be pre-ordered for – yes – US$800. It may well be a sweet looking, powerful little device (see the video overview below), but at that price it won’t have the Apple execs looking over their shoulder. The Australian price and release date? Nothing has been announced yet. And what you just wrote is exactly why I’m starting to not like them (Apple). If they where a child you would tell them to share… and BE NICE. I think apple is starting to look like a ‘TOFFEE APPLE’, with a stick shoved somewhere, and it’s all sugar coated. Don’t get me wrong if someone gave me an apple i would take it and even say thank you, but… I hope Honeycomb eats apple. Why is everything about food? Well that’s sad… 🙁 …. after reading your reviews and watching the YouTube videos i was so hoping this was going to be the ‘ONE’ I would own……but not after that price…….now that the PADS are starting to come out with the Honeycomb maybe something cheaper will show up…..but i still like it A LOT!!! I read something yesterday which sounds right to me. Apple make the iPad, own the operating sytem, sell it through their stores and make ongoing money via app commissions and subscriptions. It keeps a keen price on the hardware. It makes them a very hard ecosystem to beat as regards tablet computers.